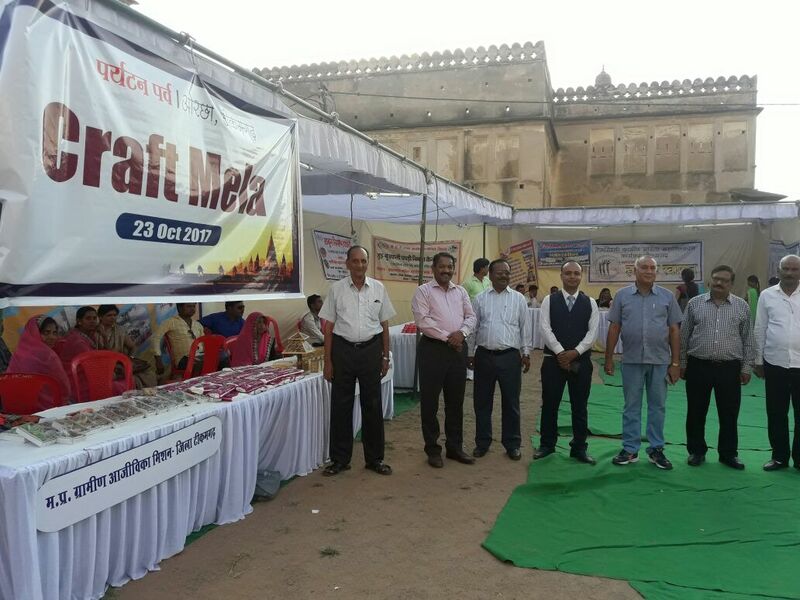 Followed by the holika dahan on the previous day, Dhulandi Festival was celebrated at Amar Mahal in Orchha on March 02, 2018. We enthusiastically welcomed our tourist guests, who were staying at Amar Mahal on their holiday from different parts of the world. The guests received a traditional welcome by the hosts and immediately indulged in the lively festivities of colors! They enjoyed splashing colors on each other and danced on drum beats and local songs played by our in house artists and performers. Dancing and mingling with fellow guests and hosts, foreign guests enjoyed the festival of holi with great fervor and enthusiasm. After the Holi revelry the foreign tourists were also treated with savory delights and desserts of Holi . Missed this time? Don’t frown, a trip to Orchha on any given season or around the Indian festivals is an exciting affair. So plan ahead in advance and enjoy !! Travel to this lesser known secret town for a unique experience every time. 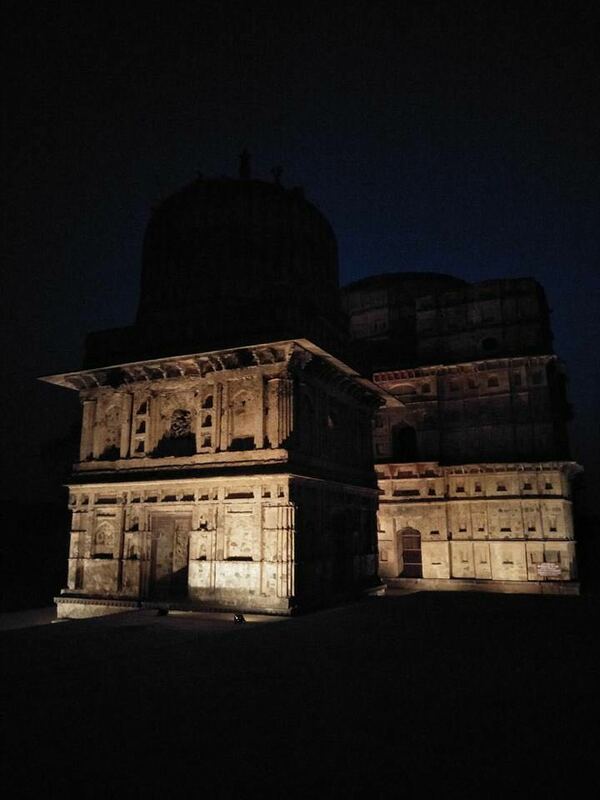 Orchha celebrates the wedding of their King – Raja Ram. Yes the God is revered not as deity but the king in this hidden town of Bundelkhand in Madhya Pradesh India. 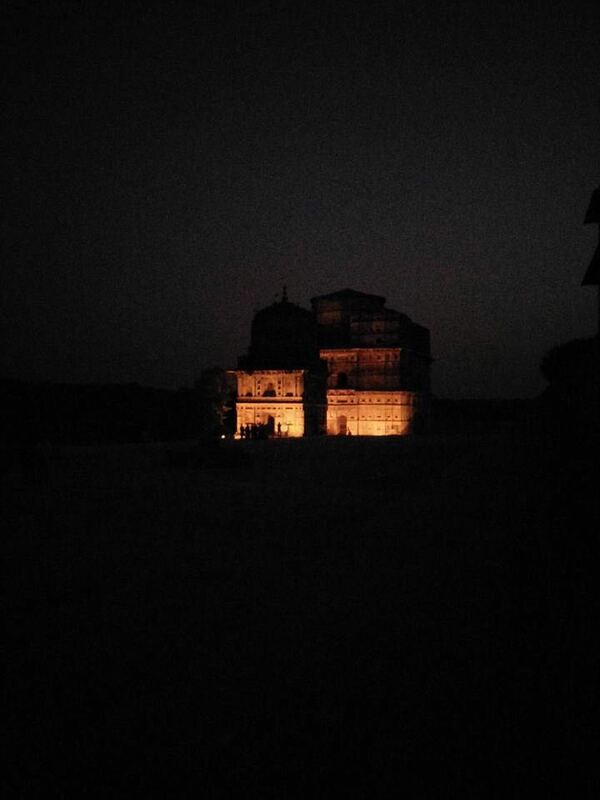 To mark the celebration of Raja Ram’s wedding; the entire town of Orchha is decorated beautifully like a new bride. 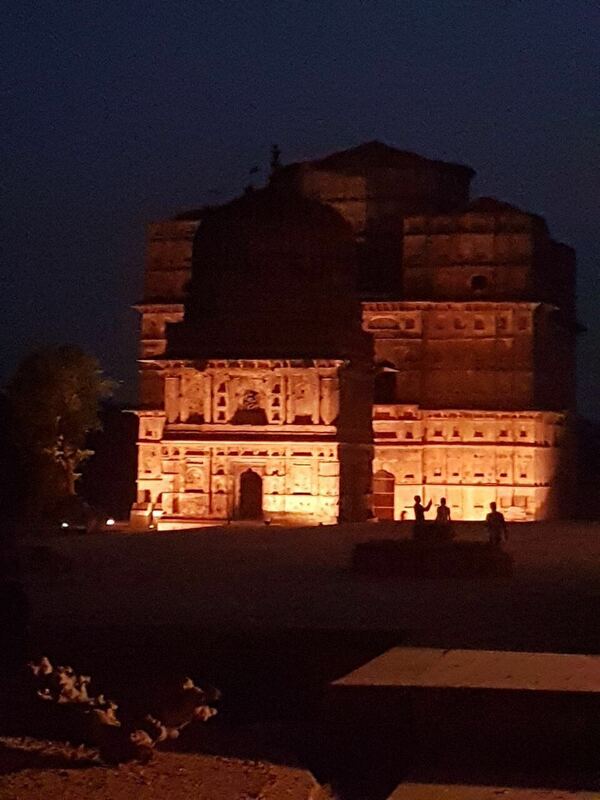 Bathed in the glory of lights and colours, the temple of Raja Ram is a sight to behold. There will be a series of wedding ceremonies in the temple complex which includes rituals like worship of ancestral gods, the temple’s kitchen where the entire offerings and Prasad will be prepared, preparations of decorating Raja Ram idol etc. Orchha’s people’s adorable Prabhu Shriram Janaki‘s wedding ceremonies have started from November 19th. Like every year, this time also the Shriram Janaki Wedding Festival will be celebrated with Bundeli rituals. There will be a bhandaara where thousands of devotees will get to eat the Prasad at temple. Today i.e. on 22nd November, there will be various rituals at the temple followed by Baraat at 07.00 pm on 23rd November 2017. To witness the vibrant rituals and ceremonial functions, there will be a large number of devotees from across the country, including the Bundelkhand region, to participate in the wedding of Raja Ram. The wedding ceremonies are observed with great joy and gaiety. A long ceremonial procession of Raja Ram towards Janaki Nagari will carried out from the Ram Raja Temple. The procession includes huge number of decorated chariots, carts with their traditional adornments, beautifully decorated dancing horses. A group of music bands, dancers and the royal staff of the temple will walk through the main streets of Orchha. The main attraction of the wedding function is the decorated chariots which are designed on the themes of different scenes from history. The villagers from the nearby villages, city residents and foreign tourists come every year to watch this spectacular wedding of Raja Ram in Orchha. Planning to host an anniversary or a Birthday party or launching your product, or may be a corporate team building conference? To host all these events there is this one thing which is very important, and that is a Convention Center- Party venue- Conference Hall. Call it anything but a Convention Center is an essential element to host an event. 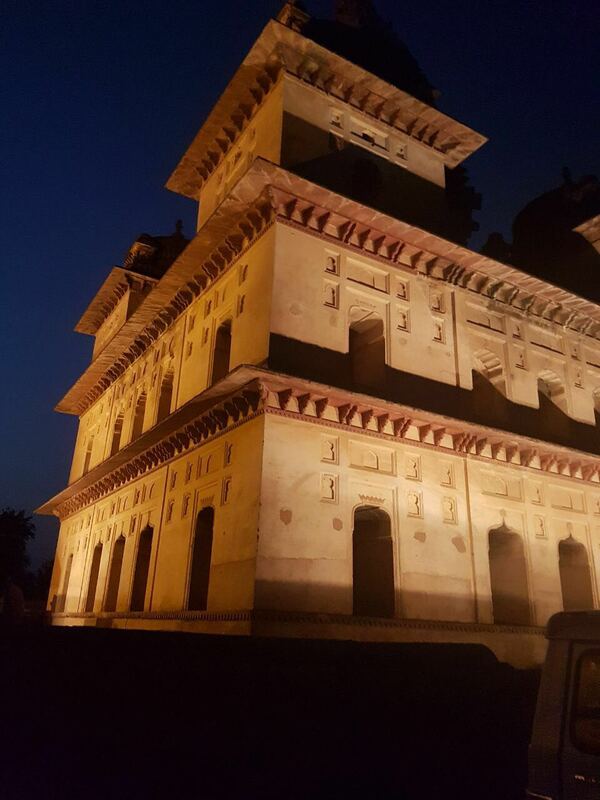 Amar Mahal is ideally located in the serene town of Orchha to conduct business meetings, social events and family gatherings. 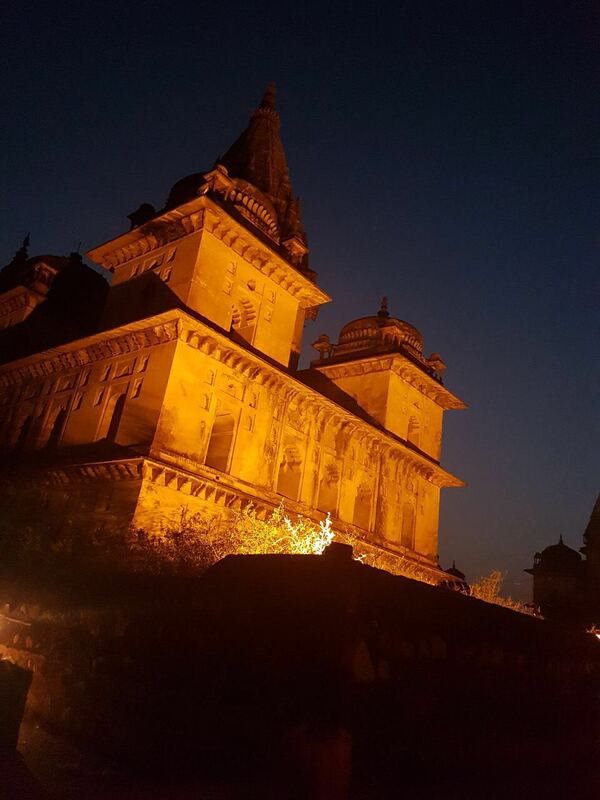 Still wondering why Orchha’s Convention Center? Here are 7 interesting reasons to host your next event in Orchha’s Amar Mahal Convention Center. Surrounded by Nature– A serene palace in the hidden town with lush greenery and shimmering river, Amar Mahal is an epitome of heritage and royal culture of Bundelkhand. Your guests would not just attend your event but also be mesmerized by the splendid environs of the town. Marvelous architecture– Set in architecturally rich surroundings with awe-inspiring paintings adorning the walls; the state of the art Meeting and Convention Center is the treat for eyes. Every nook and corner of the palace’s Convention Centre is worth admiring and your guest will taste the touch of Bundeli Royalty. Spacious Meeting Hall– Weather you hold a business gathering, launch a product or conduct review meetings; the spacious and elegant room, decorated in theatre style, is sufficient to accommodate 100-150 PAX in a professional yet relaxing environment. It can also be customized for pre-wedding functions, anniversary parties, birthday celebrations and business occasions and events. Modern Facilities and Equipment– Facilities like Wi-Fi, Meeting supplies, Audio/Visual assistance at the venue ensure no inconvenience. Each system and equipment is pre-tested multiple times prior to the event so that no inconvenience is faced by the host at the last moment. Impressive Board Room- Be it your product launch, board meetings, or pre and post wedding functions, we at Amar Mahal make it interesting with the big screen display and ample lighting in the room. Multiple Functionality – Our Convention Hall can also be customized for pre wedding functions, anniversary parties, birthday celebrations and business occasions and events at different pleasant locations. The Convention Center is is flexible enough to be customized as per your requirement and convenience. Warm Hospitality– With personalized assistance and determined staff we ensure that your business gathering will be an experience that’s anything but ordinary. Be it a search for the venue for short meetings or even a daylong event and conference – never hesitate to inquire about our Convention Center and we will exceed your expectations. The way meetings are planned, product launches are designed or wedding planners schedule functions and other social or business events may change in the coming year, but one piece of the industry will remain the same; we will continue to need Convention centers to host our functions and events. So take a lead and check out Amar Mahal Convention Center as a marvelous venue for your next event in Orchha. Holi is the most awaited Indian festival celebrated throughout the country with lots of zest and enthusiasm. 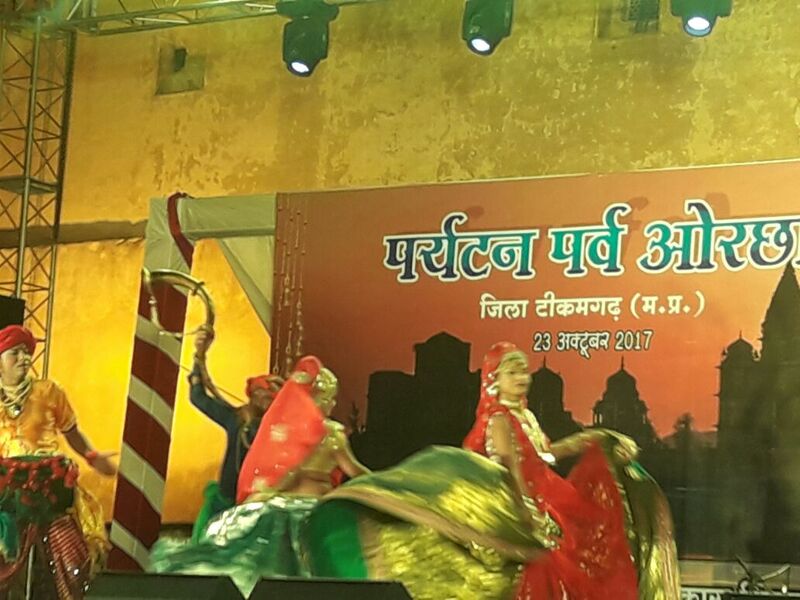 Revelry is no less in Madhya Pradesh and same level of enthusiasm can be seen among the citizens of this state as in the rest of North. Of particular significance the festivity of Holi is rather special in Bundelkhand! The fervor of colours and merrymaking remains continuously for five days at Ram Raja Temple. The last day is called Panchami Holi. The tradition has its historic roots. It is said that the Maratha Holkars who conquered the state brought with them Marathi tradition of Rangpanchami- where the colours are played on the fifth day. The market near Ram Raja Temple in Orchha is already brimming with colors and enthusiasm of Holi which will fall on Sunday, 12th March- Holika Dahan, Monday 13th March Dhulandi and Friday 17th March, 2017 !! Holi is celebrated in Amar Mahal, Orchha in a beautiful way by spreading the colors of music in the atmosphere. It is celebrated with singing the special songs of Holi, savoring local delicacies and drinking an invigorating drink. We at Amar Mahal are on the forefront in celebrating the festival Holi. This year a safe Holi will be played at the palace, with water, colors, gulaal and a lot more! What makes Holi so unique and special at Amar Mahal, Orchha other than playing with colours is the spirit of it, which remains the same throughout the town and even among the tourists who come to Orchha from across the globe to particularly see the festivities of Holi. So what are you waiting for? Come down to Amar Mahal Orchha to revel in the riot of colors and exciting festivities of Holi on 13th March 2017!